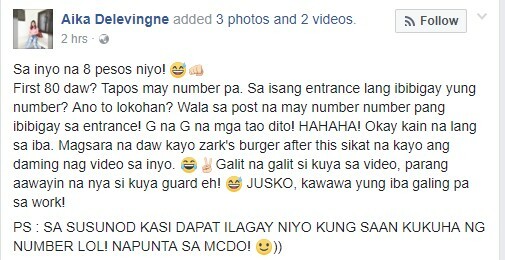 MUST WATCH: Riot caused by zarks 8 peso burger promo recorded by angry netizens! 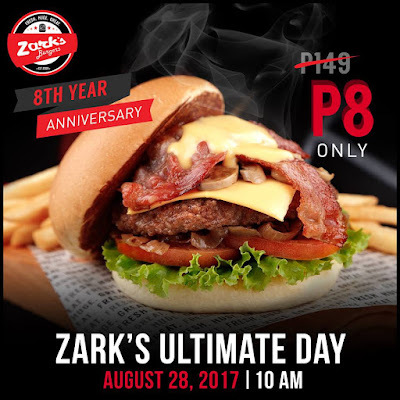 August 28,2017, Zark's Burgers on its eighth year anniversary celebration. They let the public enjoy their very own ULTIMATE BURGER for only Php8.00! But wait there's a catch! Zark's burger will be offering this promo to the first 80 customers in every branch! This promo caused thousands of crowd to line up in every zark's burger branch; creating chaos and riot. This video was uploaded by an angry and disappointed netizen. Watch how desperate the customers are just to get the 8 pesos Ultimate Burger promo. This video was captured when mall is still closed. Crowd was to many for the security guards to control. Will you be one of them? Or you'll just buy it in a normal prize of Php149.00.